Take a step away from typical and dive into this unique women’s timepiece by Cartier. 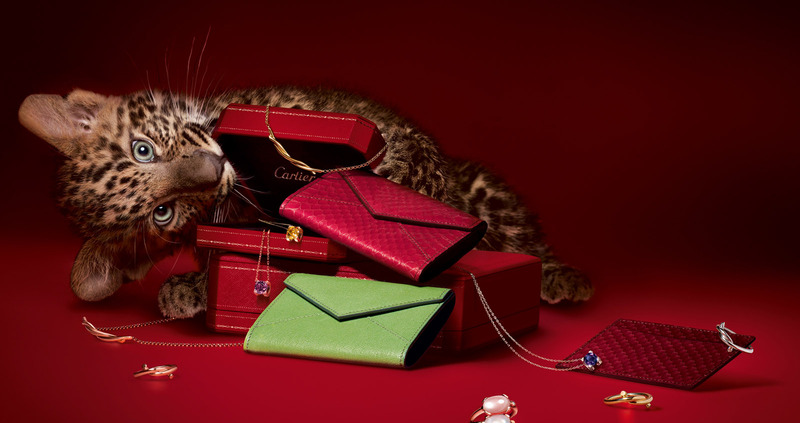 The Cartier brand itself stands for exceptional design and effortless perfection in structure. The Pasha collection is no exception, especially this timepiece. The Cartier WJ12320G Small Model Pasha Women’s Watch is described by Cartier as “the language of energy with unmistakable signs”. Easy to pair with your wardrobe for any occasion, this women’s watch will easily become your favorite piece of jewelry. The Cartier WJ12320G Small Model Pasha Women’s Watch is set in an 18K white gold case with round-cut diamonds covering the bezel. 8 additional diamonds line up in a double row along the top and bottom of the bezel, totaling 16 diamonds that designate the start of the bracelet. The screw-down crown cover is also 18K white gold and set with a diamond. The dial face is white mother-of-pearl and contains blue steel diamond-shaped hands. Arabic numerals at the 12, 3, 6 and 9 hours are set with round-cut diamonds. They add the perfect amount of sparkle to the face without cluttering the already ample amount of diamonds. Of course there really is no such thing as too many diamonds in a girl’s jewelry box and Cartier didn’t stop short with this timepiece. As they say, diamonds are a girl’s best friend (not to mention the sapphire crystal is scratch resistant and will help to protect the diamonds on the face). 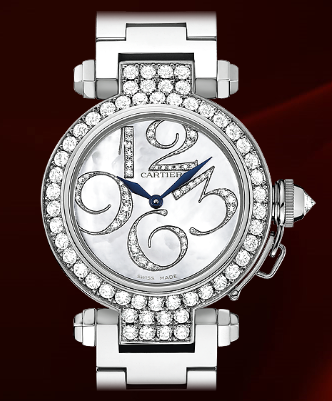 The shine and gorgeous appearance of the Cartier WJ12320G Small Model Pasha Women’s Watch is just the beginning. Beyond the beauty you find a Cartier calibre 690 quartz movement that is water resistant in up to 100 feet. The case is 32mm in diameter and 8.8mm thick. There are also two interchangeable bracelets; one is an 18K white gold bracelet and the other is a fabric strap. They both have an 18K gold double adjustable deployant buckle. This Cartier Pasha watch is currently available at a retail value of $50,975.00 and can be purchased on the official Cartier website or one of many Cartier boutiques. Magnificent read: highly articulate and very easy to follow. I enjoyed reading about this impressive timepiece.